Its always nice to receive a parcel in the post but even nicer if its edible. 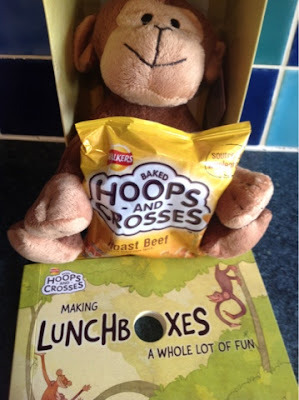 Quick blog up of what foodie goodies Mr Postman has been bringing me over the last few weeks. 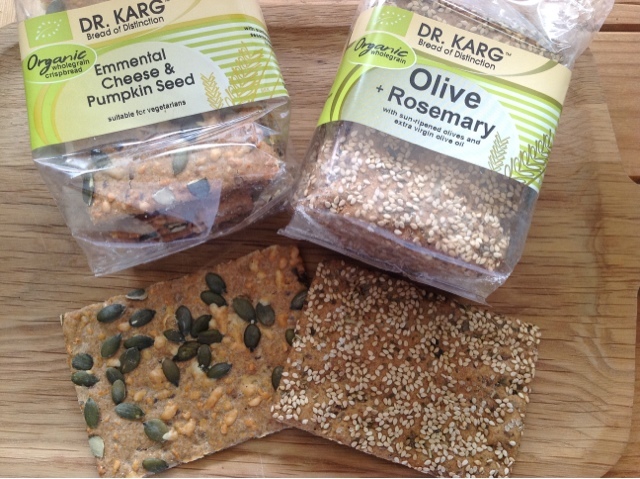 I am a big fan of the Seedy Goodness of Dr Karg Crispbreads. They certainly live up to their #notcardboard hashtag. My usual variety of choice is their Emmental Cheese & Pumpkin Seed however I was delighted to try the new Olive & Rosemary variation. 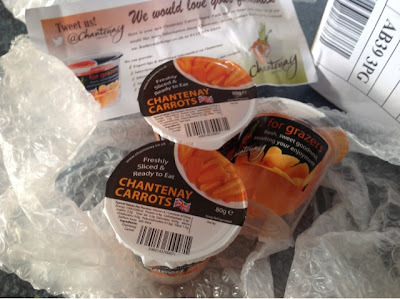 Also featuring on my lunchtime plate is the new Chantenay Carrot snack pack. Chantenay's are small, naturally sweet and perfectly formed. We had three packs of them freshly sliced to try - perfect for boy, girl and me. I diligently placed the pots into packed lunches. Girl equally diligently removed hers and returned it to the fridge. Can't say I didn't try. All the more for me. I loved them. Crispy, Crunchy and juicy with the taste of real carrots - not the dried out crudities I've previously encountered in snack bags. 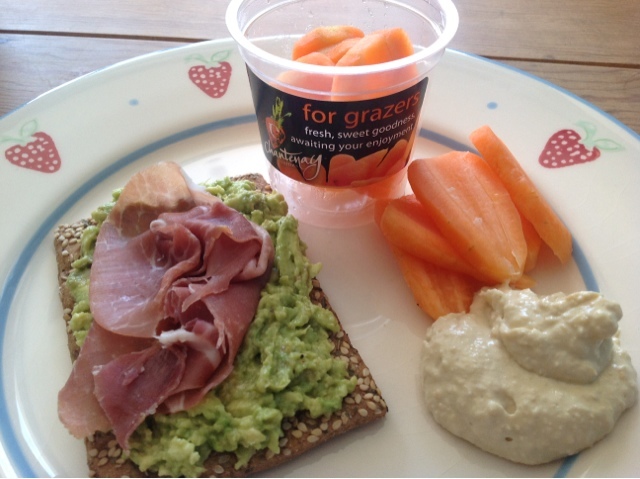 They will initially be available in Morrisons in a snap pack of four pots or an individual pot topped with a tub of houmous. A range of squeezy herbs from Gourmet Garden have been a very welcome addition to my kitchen. I don't know about you but I must have thrown away a fortune in leftover fresh herbs over the years. Once opened these keep for up to 3 months in the fridge or 6 in the freezer. 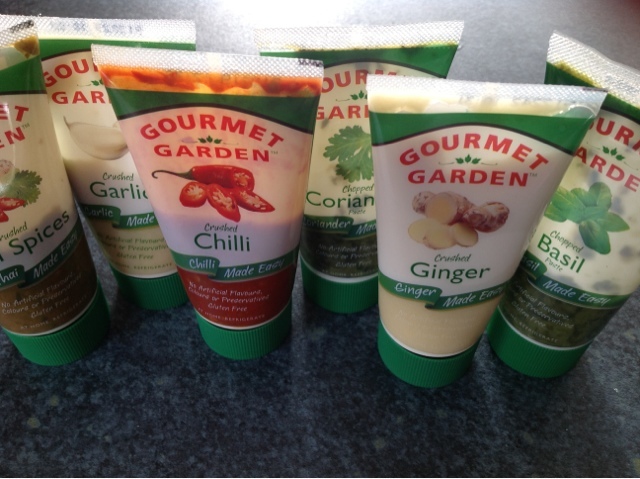 The garlic and ginger are my most frequently used. No faffing about with peeling and crushing. I really prefer to use fresh coriander and basil as I don't think the pastes match the taste and texture of these two but the squeezy version does make a great standby. I'm always on the lookout for new snacks for boy and girl so was happy to be offered Walkers newest baked snack 'Hoops and Crosses' to review. 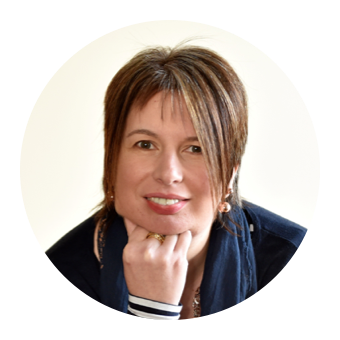 They are made from wholegrains with no artificial nasties so no mummy guilt. Upon opening the parcel I was greeted with the furry face of Monty the Monkey. Cute as he is my initial thought was I could be doing with less monkey and more crisps. We had roast beef to try but there are also prawn cocktail and salt and vinegar flavours in the range. 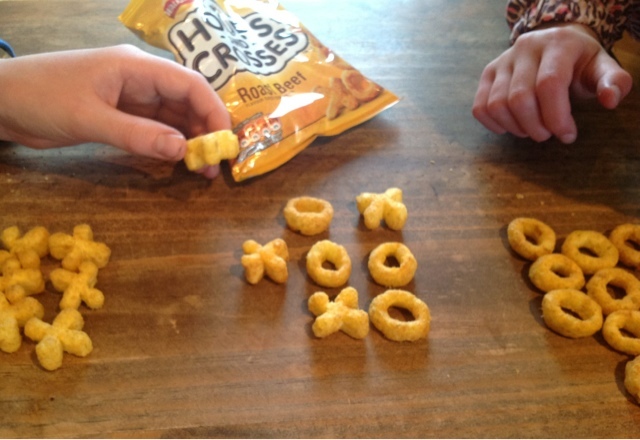 Boy and girl really liked the idea of the x's and o's and thought it would be good if the empty packet had a grid on it so they could play properly. They reckoned the taste was very much like Monster Munch. Both would be happy to get them in their lunchboxes or for playpiece but said that sadly they wouldn't actually be allowed to play with them at School. Boy commented that the X's would be great to accompany Saturday night Britain's Got Talent viewing. We're going to need significantly more packs to buzz out those we've seen enough of. Disclosure : Thanks to Dr Karg, Chantenay, Gourmet Garden and Walkers for providing the above products. I was not obliged to review positively in return. All views expressed are my own. I've not had much success in growing carrots TBH but might well give these a go.